5 Dead in Van’s RV-10 plane crash near Patos de Minas, Brazil. A private plane crashed when it was approaching to land in Patos de Minas Airport. A family died after a private plane crashed late Sunday morning in Patos de Minas, in Alto Paranaíba. According to information from the Civil Defense, the accident happened near the Municipal Airport and there were no survivors. Aeronautics, expertise and Civil Police were on site. Firefighters confirmed five deaths. Initially, the information was of four people, but due to the state of the fuselage of the airplane and the luggage, the last victim was found later. 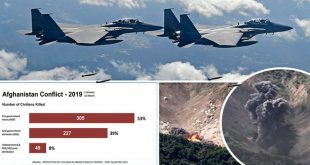 The military confirmed that they are two adults, with doctor Marcos Nogueira Chagas, 45 years old and doctor Carla Giannine Pereira Medina, 44 years old, as well as three minors, who are between 10 and 16 years of age. It was also said that the aircraft left Brasilia with destination to Varginha, in the South of Minas. The pilot Edvar Marques da Costa was at the airport at the time of the fall. He informed MG1 that he realized that the aircraft was flying fast and low. “The situation looked like panic. I saw the aircraft crossing the airfield, I think he did everything to get back on track. I thought he would get around to land. Then I heard the noise of the fall, unfortunately, “he said. The bodies were taken to the Legal Medical Institute (IML) of Patos de Minas. Belongings of the victims were collected by expertise. Experts have reported that Varginha’s relatives are proceeding to Patos de Minas to recognize the bodies and that no children’s documents were found.